The Casino Cruise provides a very highly informative and nicely designed front page. It is a relief to see a website which can combine nice graphics and information-rich content. When accessing the website, it is important to pay particular attention to the promotional deals. There is a great abundance of such deals here. The welcome bonus provides as much as $1000 plus 100 free spins. The deal is meant to be used on the first four deposits at the casino. On the first deposit, the casino offers a 100 % match bonus up to $200. 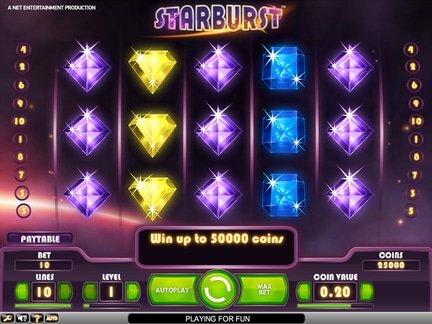 On the second deposit, it is possible to get a 50 % match bonus up to $200. Lastly, the third deposit offer allows for a 25 % match bonus up to $300. This kind of an offer is especially good for someone who has (to serve as an example) $50 in hand. That $50 can be turned into $100 of play money! Some of the best website deals are only available in certain time periods. For example, the Tuesday Pool Party offer allows the player to add $100 to their balance when they make a deposit. Of course, the player can only take advantage of the offer on Tuesday. The players who visit the casino on Friday can expect to see a different bonus offer every week as part of the "Friday Freebie". The monthly deals are just as good. For instance, the monthly splash bonus is made up of two reload bonus deals. 2 x 50 % reload bonuses up to $100 are available on the site as part of the deal. The casino prevents players from certain jurisdictions from opening an account at the venue. The list of countries with such restrictions would include; United States, France and Spain. In terms of language support, the casino is ready to receive players who speak English (those type of players constitute the majority at the site). But it is also open to speakers of the following tongues; French, Finnish, Norwegian, German and Swedish. The scroll through the gaming section reveals that the casino is packed with interesting games. Some of the games are the standard games that could be found almost anywhere else. But there are also some titles that are exclusive to the casino and its partners. The player who wants to access some fresh games would be happy to see such titles as; Gods of Giza, Kitty Kabana. Champions Goal, Stickers, Universal Psycho and Pistoleras. The live casino option is also quite exciting. The Roulette, Blackjack and Baccarat are all available in this format. 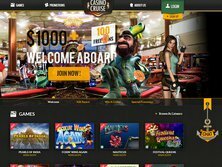 Since not every casino can offer full access to live games, the feature makes the Casino Cruise website unique. The casino offers a multi-vendor gaming platform in partnership with top game suppliers including; Microgaming, NetEnt, Play'n Go, Vivo and Nyx Gaming Group. It's always nice to hear about casinos that can resolve conflicts with players. The Casino Cruise has been the subject of criticism for various reasons. A lot of the criticism was due to delayed payments and lengthy withdrawals. Thankfully, the casino staff has taken the complaints seriously and tried to address them head-on. As a result, the ratings of the casino have instantly gone up. The customer support service is also doing a fine job in responding to recent inquiries from players. The site is operated and managed by a Malta-registred company - EveryMatrix Ltd. The company is licensed and regulated by the Malta Gaming Authority. The casino was established in 2014. I love the layout of the website. Everything is perfectly placed. It's a great invitation to playing on the gaming site. In terms of content, I was really impressed with the live games and the fact that the classic games can now be played in this format. This feature brings the casino much closer to a traditional casino. A stereotype of an online casino as a poor cousin of the traditional casino can no longer stand in light of the live game option. I was impressed by the truly personal feel of the casino as well as the great variety of software partnerships. The games are very nicely selected and reflect the best game offer out there. I think that other casino websites can learn a lot from this casino, especially in terms of the serious treatment of players and their concerns.